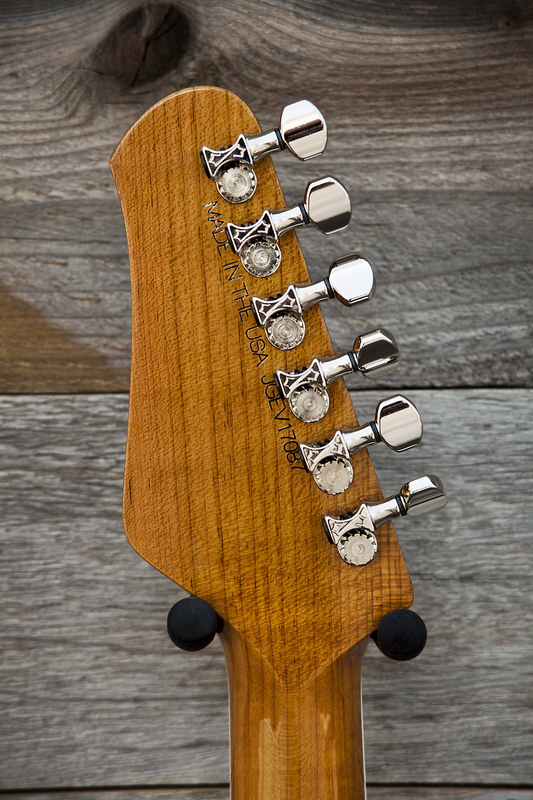 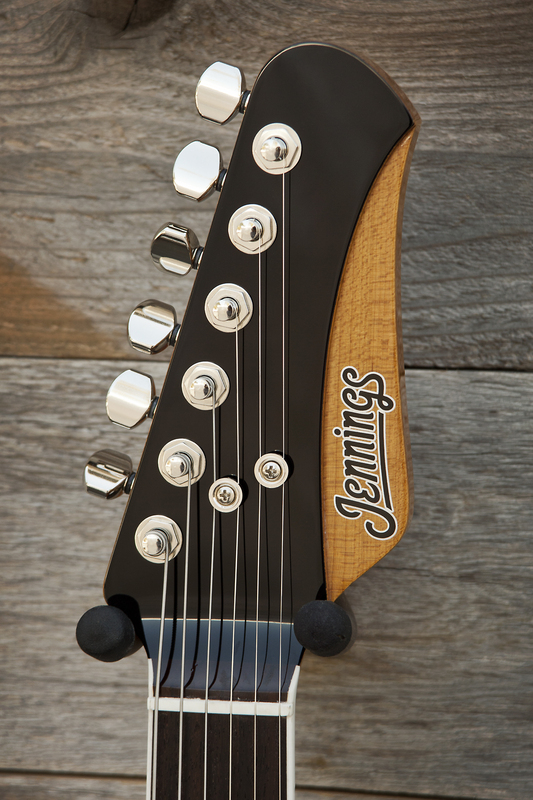 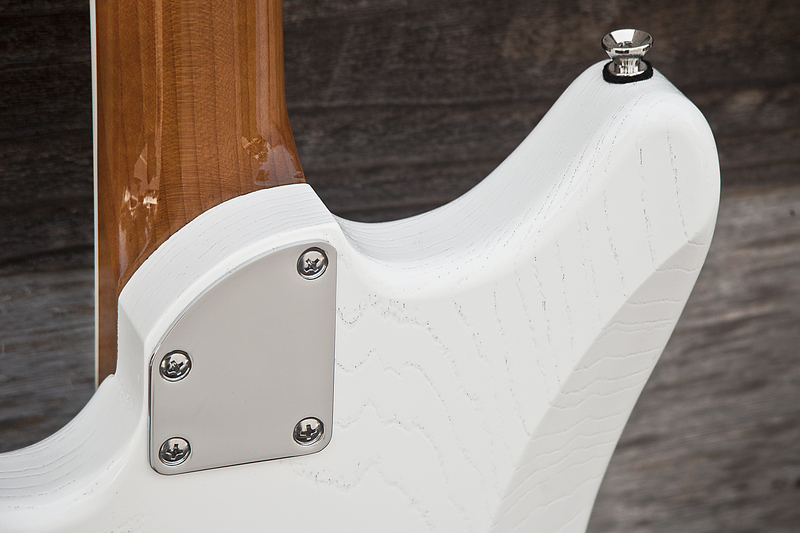 Neck- Roasted Maple neck with rosewood fingerboard, white binding, white mother of pearl fretmarkers, and a nitrocellulose finish. 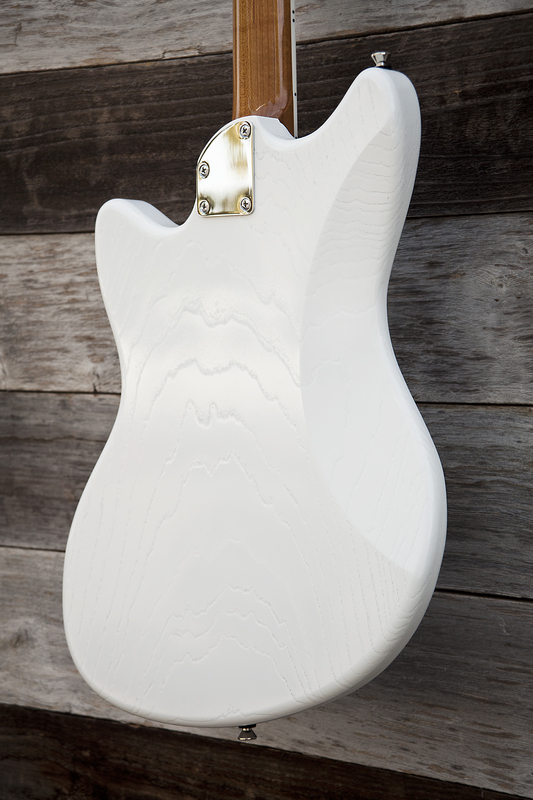 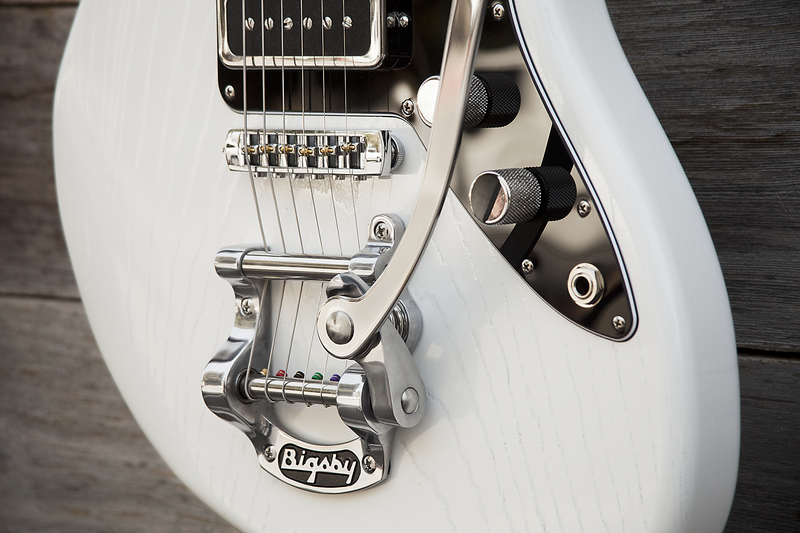 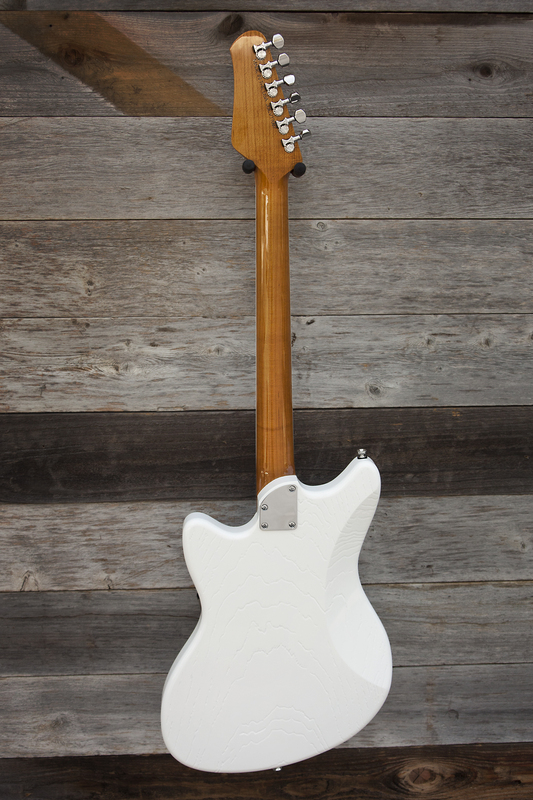 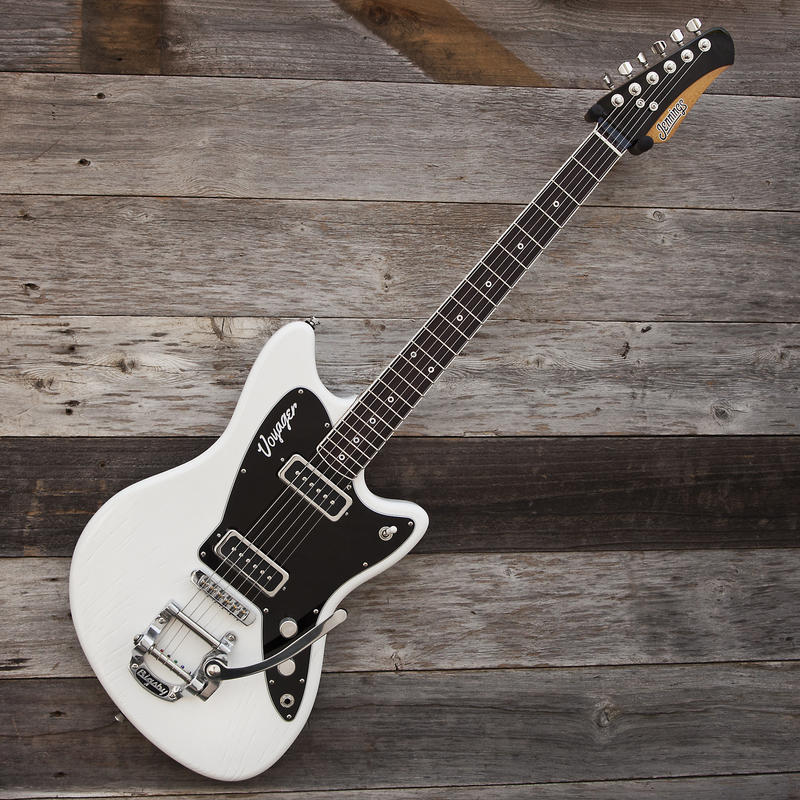 Body- 1 piece ash body with a white nitrocellulose lacquer finish. 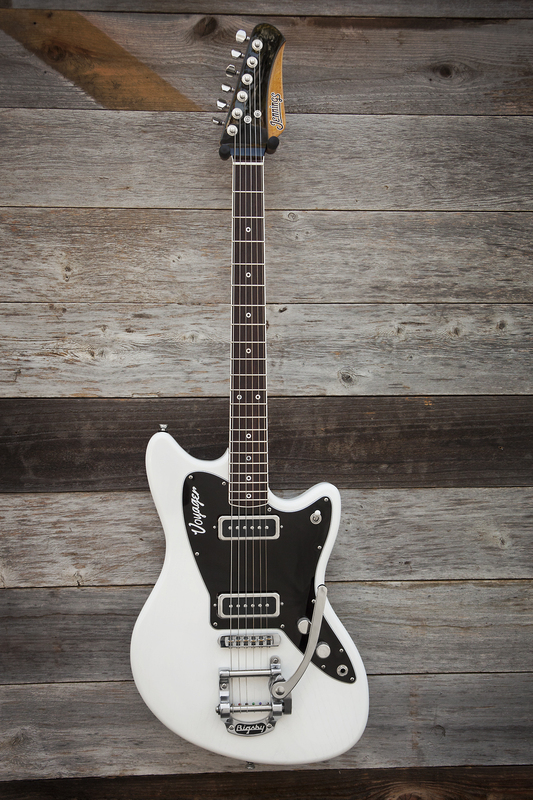 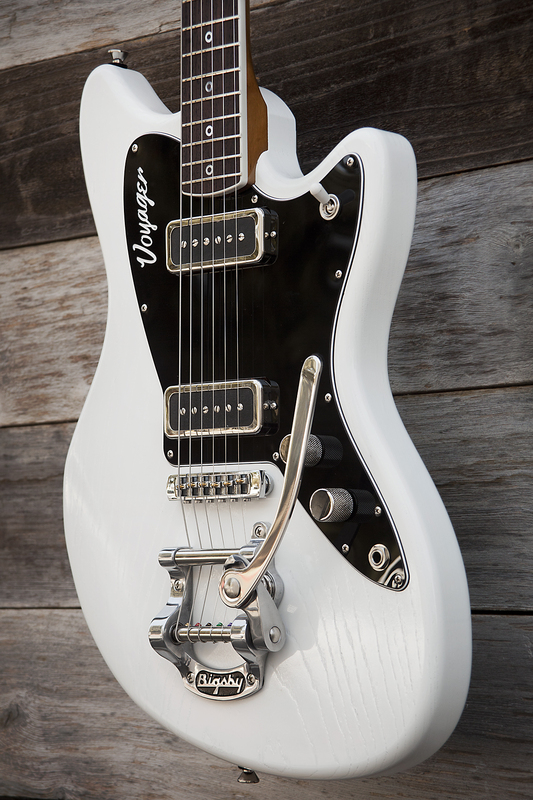 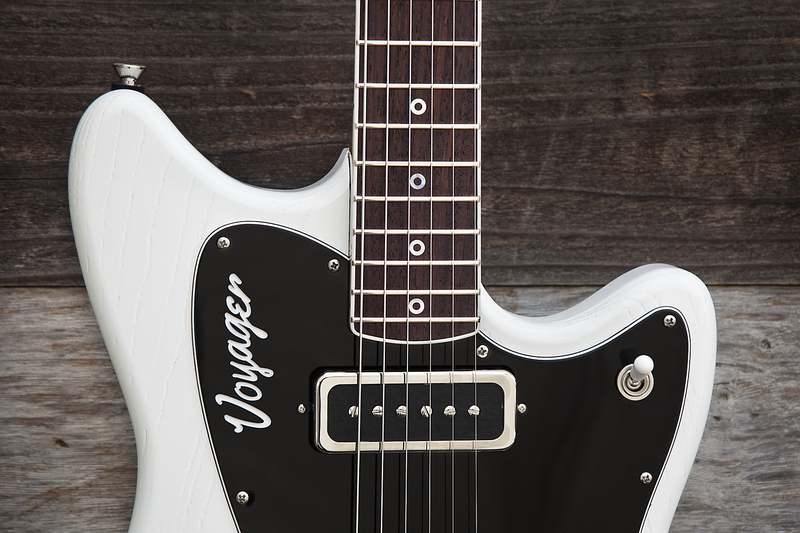 3ply BlackPickguard with “Voyager” engraving.